ALJ have established an outstanding reputation for assisting businesses who are thinking about how they might sell their business, to find he 'right' buyer. ALJ do not run 'processes', we hate them, and we know that buyers do too. We spend most of our time in the market working with potential buyers to understand the type of businesses they are looking for. Appetite amongst buyers can change monthly so the time invested with buyers is well spent. Our work ranges from assisting start-ups right through to complex M&A activity. In the Insurance sector, we assist brokers to maximize the commission value of their business, and work with a number of UK Insurers to ‘re-engineer’ margin (commission). We are able to draw on our experience, of the Insurance sector, to offer strategic and Operational advice to entrepreneurs. Glenn has worked within financial services for over 30 years, and has built an enviable network of senior and influential contacts. Glenn has significant Sales & Distribution experience, from his time at AIG, ACE & a number of senior positions, within the UK broking sector. Glenn has had significant personal experience of capital-raising, and through this experience, and the lessons learned offers clients valuable insight into the entire M&A arena. Glenn is married to Michelle and has 3 children, Alexis, Jack & Luke, and is actively involved with his local Church. In his spare time, Glenn tries to get in as much golf and cricket as possible. Michelle has worked within the financial services industry for over 15 years, and during this time established, and sold, a number of her own businesses in Germany, specalising in Insurance, Travel & Technology. Michelle uses this experience to assist a number of our start –up clients, and has great empathy for the challenges these clients face. Michelle loves to travel, and enjoys an eclectic range of music - from Dolly Parton to Meat Loaf! She spends her spare time supporting the Church and keeping fit. John has held senior underwriting positions with AIG, Ace, and Aon, as well as being the CEO of a UK based insurer. Most recently, he was Underwriting Director for ForcesFirst. He has established a first-class reputation, in the market, for his professional and ethical approach to underwriting, adopting a hands-on approach, devoting significant time staying close to the underwriting data. Though not an Actuary by qualification, his main attributes are in the field of statistical analysis (Management Science degree) blended with commercial acumen, honed by 35 years’ experience in this field. On two occasions, his consultancy work in this field, has led to full time appointments. Outside work, John is a very keen sportsman having played Football, Rugby, Cricket and Tennis, but now concentrates on Golf, and he volunteers as a Street Pastor www.streetpastors.org assisting people at nights in Bicester. Dynamic, commercial, "hands-on" CFO/Group FD. Extensive experience of successfully working with the management of owner-managed, PE owned, and matrix-organised multi-national insurance brokers, MGAs and aggregators, to devise and implement strategy, to improve gross margins and ROE, to effect business transformation, to evaluate and integrate potential acquisitions, and of preparing such businesses for exit, be it trade sale or IPO. Lance has over 25 years experience working in Financial Services, including Lloyds Bank General Insurance, Axa PPP Healthcare and most recently as UK COO of the Innovation Group. He was an original member of the Hastings Direct MBO making 30x money in 5 years. Lance has been working with Private Equity businesses for 3 years helping to assess deals, set DD frameworks, build business models and set business strategy. Lance has also been spending this time originating opportunities for Private Equity business and helping businesses owners to sell their businesses to Private Equity. Lance lives in East Sussex with his wife and three children, two jack russells and two guinea pigs and is currently recovering from a three year house build project. Duncan has a unique academic and professional background, in the third sector, and the commercial world. 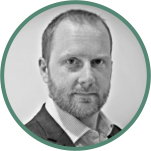 Duncan’s previous appointments include Director of International Development for one of the worlds largest aid organisations, field work in Africa, the Americas and Asia, Managing Director for an African Agricultural investment fund, and running his own consultancy. Duncan founded Ethical Goods. Ethical Goods works alongside some of the UKs best-known brands, manufacturers, retailers, charities and service providers, enabling transparent and tangible brand alignment, with commercially viable corporate responsibility programmes. This includes a unique Brand Assurance programme, Cause Marketing initiatives and Corporate Responsibility consultancies. Nick is an economics graduate with over 25 years corporate insurance broking experience. After a number of years as a highly successful sales producer, he moved into regional and then national sales leadership roles. At HSBC, Nick was one of only 40 staff from a global workforce of over 265,000 to be included in their flagship ‘STARS’ programme which rewarded and developed exceptional performers. Nick has a star named after him, but don’t ask him to tell you where it is! Nick has particular expertise in the sales process, strategic selling, and use of CRM to enhance sales effectiveness. He is a widely qualified coach, a trainer and an accomplished presenter. Nick is married with two children. When he is not following their sporting passions he coaches junior cricket, and enjoys keeping fit, biking and surfing. Dale has held senior executive positions in both commercial and regulatory positions - most recently as CEO of Only Young Drivers and Director of Telematics at Autonet following the sale of Only Young Drivers. Dale's regulatory, risk and compliance knowledge has been acquired through 5 years at The Financial Conduct Authority (as Lead Supervisor of large insurers and intermediaries), his role as Group Compliance Manager for a large pan-European insurer and his duties as CF1 - CEO. Dale is ACCI qualified and has Economics and Investment Management degrees from the University of Johannesburg. Dale is a keen golfer and has also been known to hold down an end with off-spin bowling. "Very impressed with the service, advice, hard work and dedication shown throughout - I would thoroughly recommend their services." "Glenn and his team have many years experience advising insurance brokers, who benefit from expert, impartial advice, to help ensure their decision making process, and subsequent negotiations proceed with confidence. At Minority Venture Partners (MVP) (www.mvpartners.co.uk), we have worked successfully with Glenn, who has helped guide brokers to make clear, informed decisions quicker and easier, leading to the successful outcome they desired." "We worked with Glenn looking at various options enabling some of our shareholders to exit. It was paramount we remained in control to drive the business forward. Glenn worked with us from concept, through to conclusion, and was a key conduit in the whole process. Very impressed with the service, advice, hard work and dedication shown by him throughout - I would thoroughly recommend his services." "During the sales process, Glenn and his team not only found an ideal purchaser, but also ensured that we understood how valuations are arrived at, and fully explained every step of the process. We were also very impressed by their ability to open doors at the most senior level, so that we found the ideal purchaser. We have absolutely no hesitation in recommending ALJ Consulting to anyone looking maximise the value of their business."